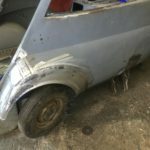 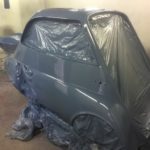 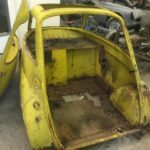 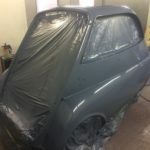 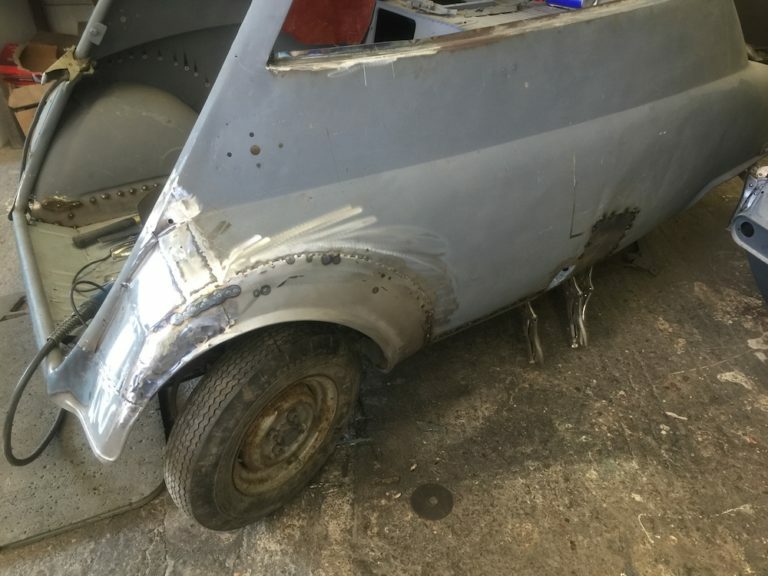 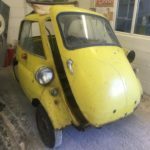 As you can see, when it arrived in our workshop, this Isetta Bubble Car was not looking its best. 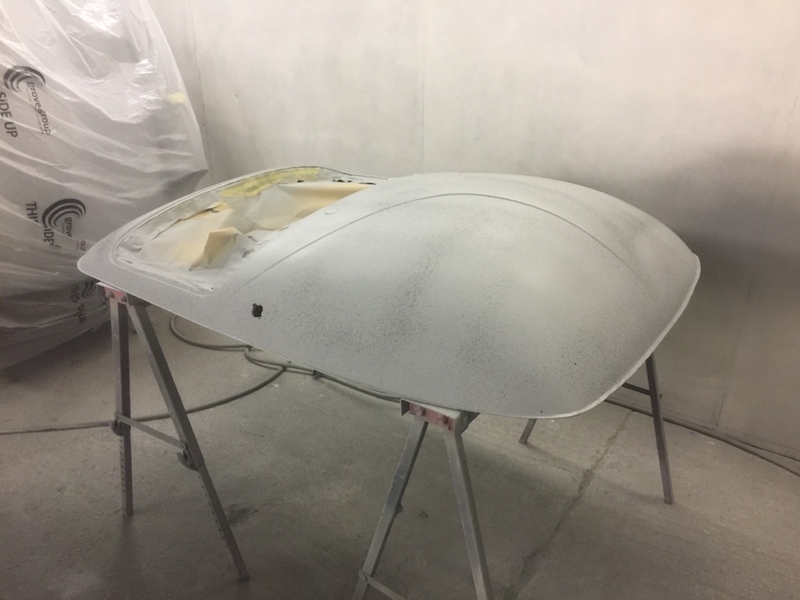 That didn’t deter the team at White’s Bodyworks, however, it simply made our eyes light up. 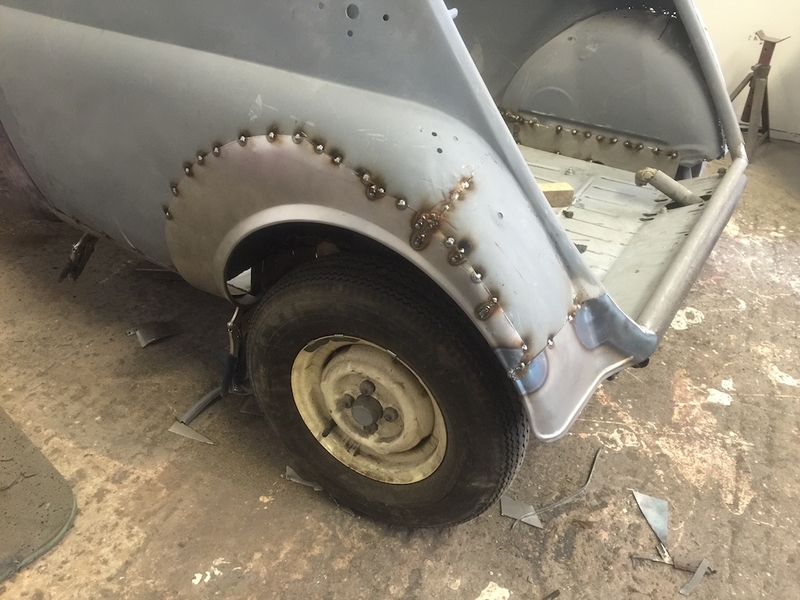 There’s nothing we like more than a challenge and this classic car was certainly that in every sense of the word. 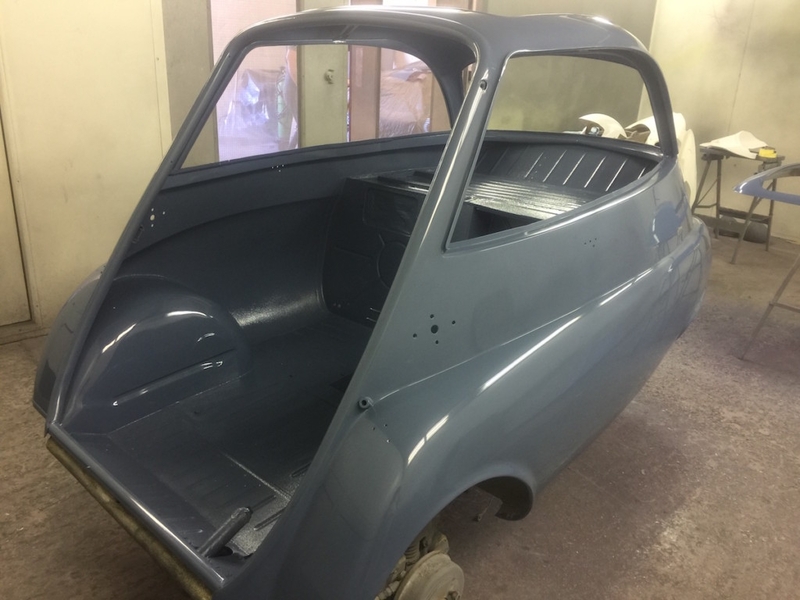 The Isetta has Italian design running going right through it and was a popular little run-around across Europe in the late fifties and early sixties. 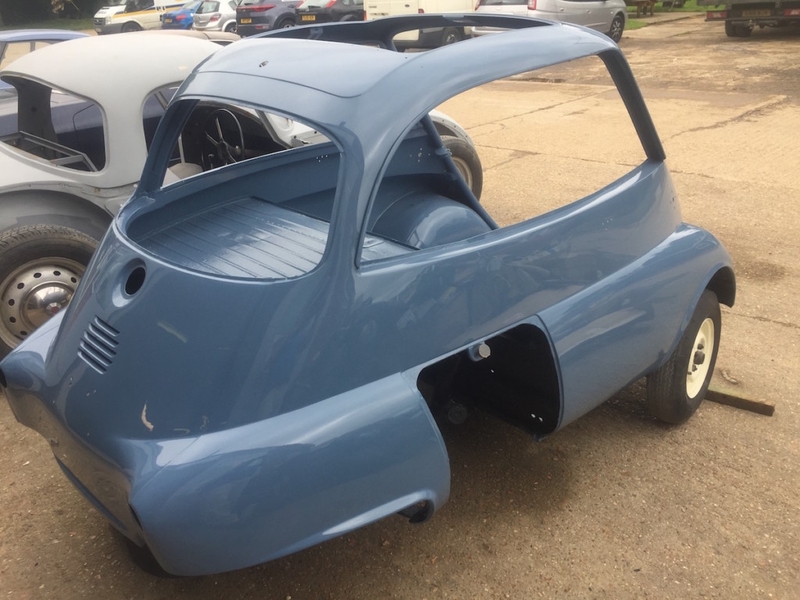 It got its name because of the egg shape design and it was one of the most economic vehicles of the time. 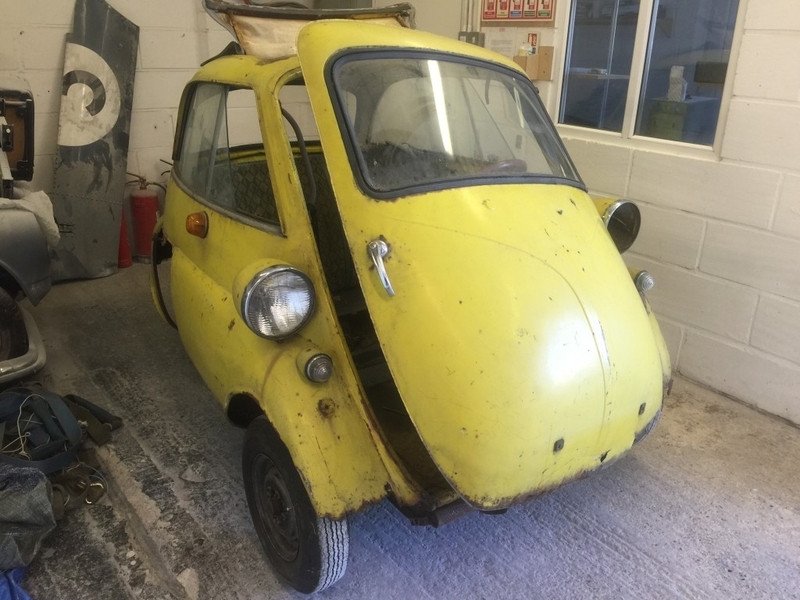 You’ve got Italian inventors Ermenegildo Preti and Pierluigi Raggi to thank for this unusual looking creation. 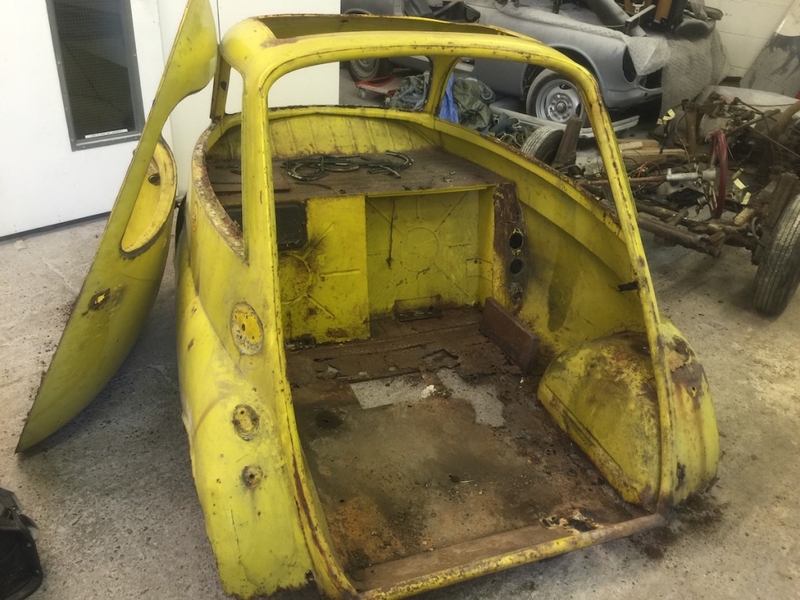 At the time, it was seen as quite space aged, though it’s a little more dated now. 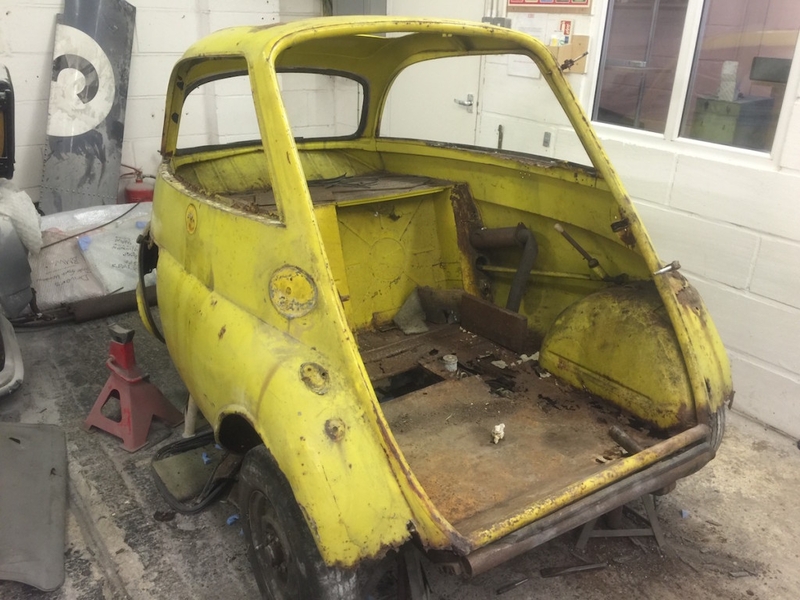 The fact that it was quite a small car with some relatively flimsy bodywork at the time also means it’s quite rare to find one in good condition nowadays. 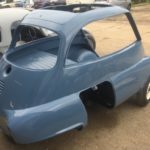 The Isetta made something of a comeback in recent years when Swiss businessman Wim Oubeter produced a new, electric concept car based on the original model. 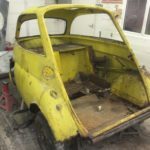 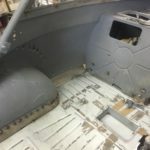 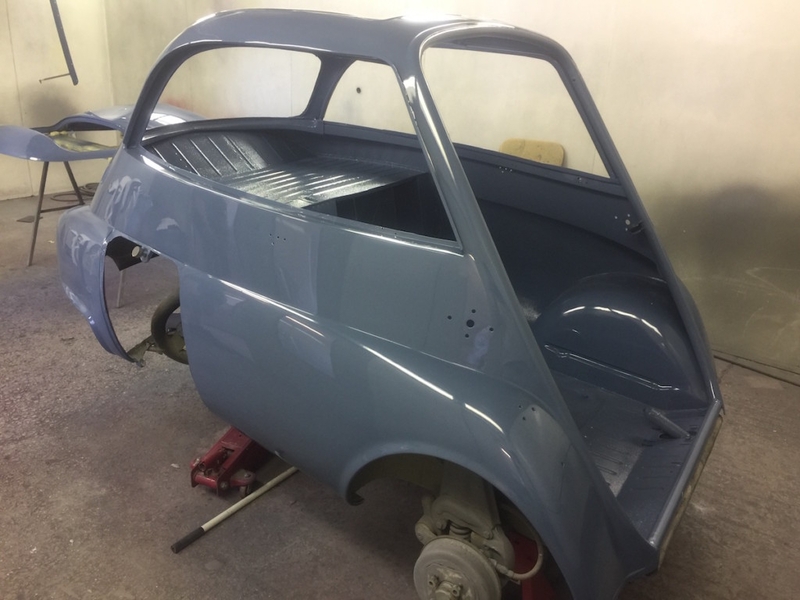 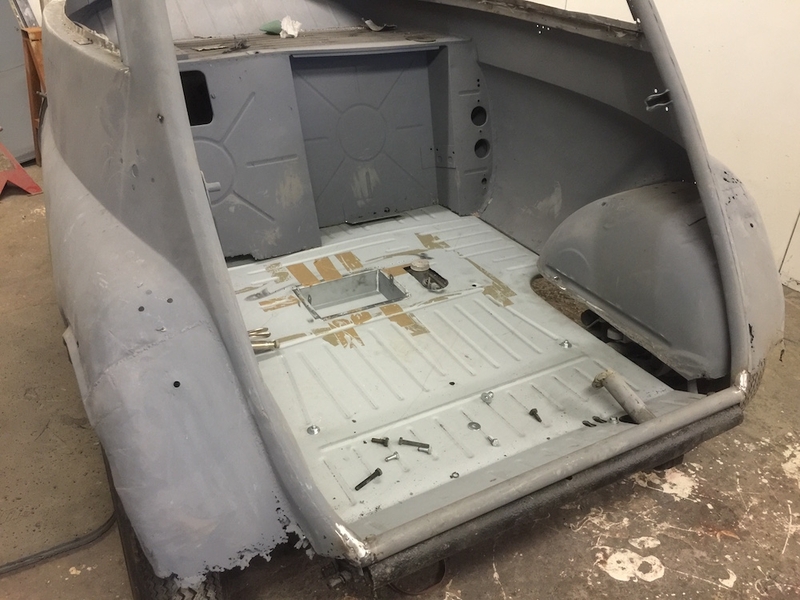 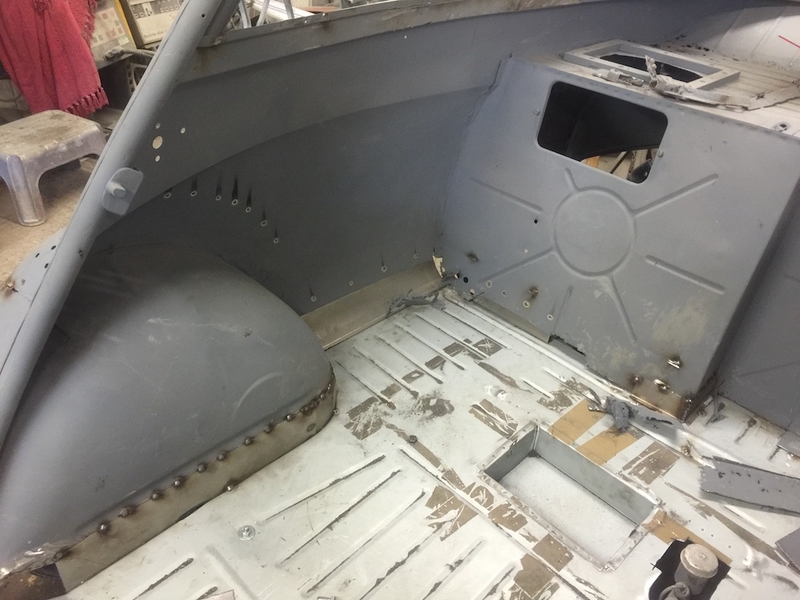 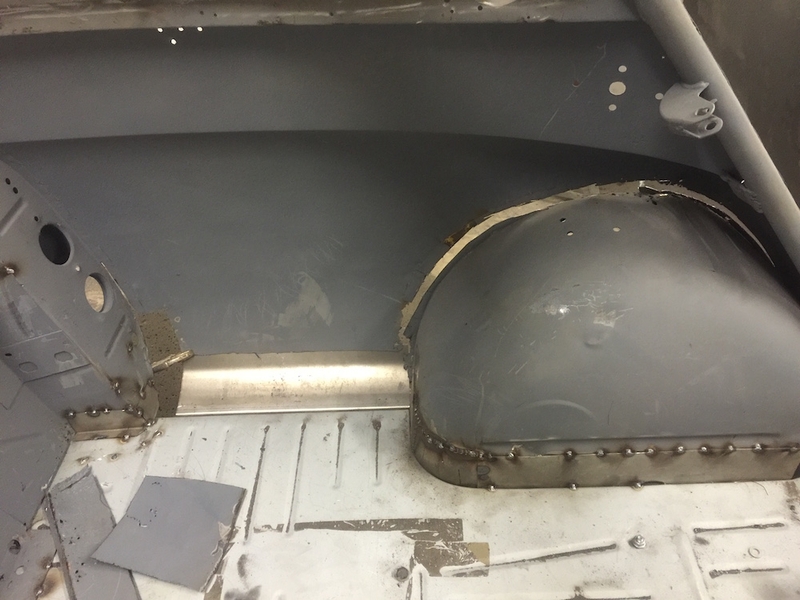 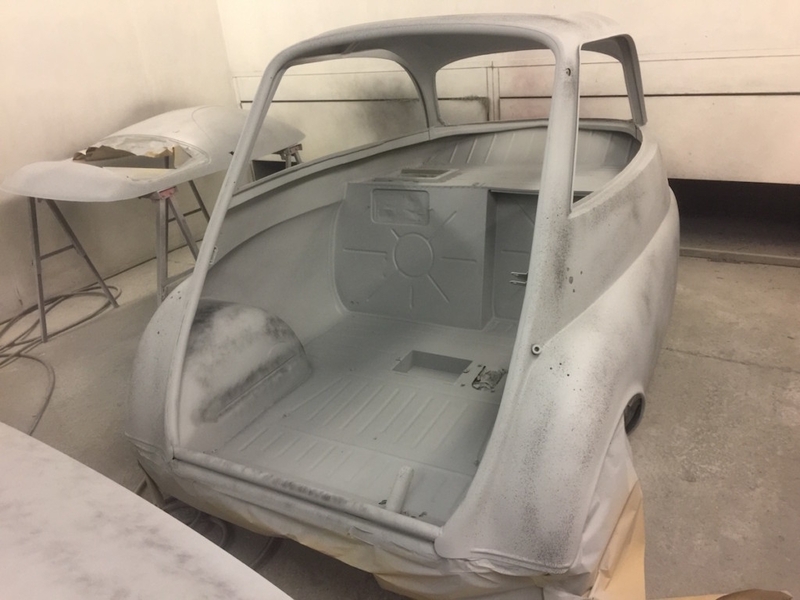 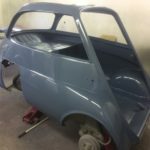 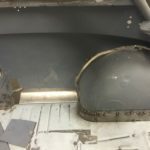 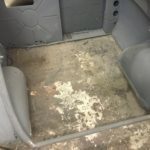 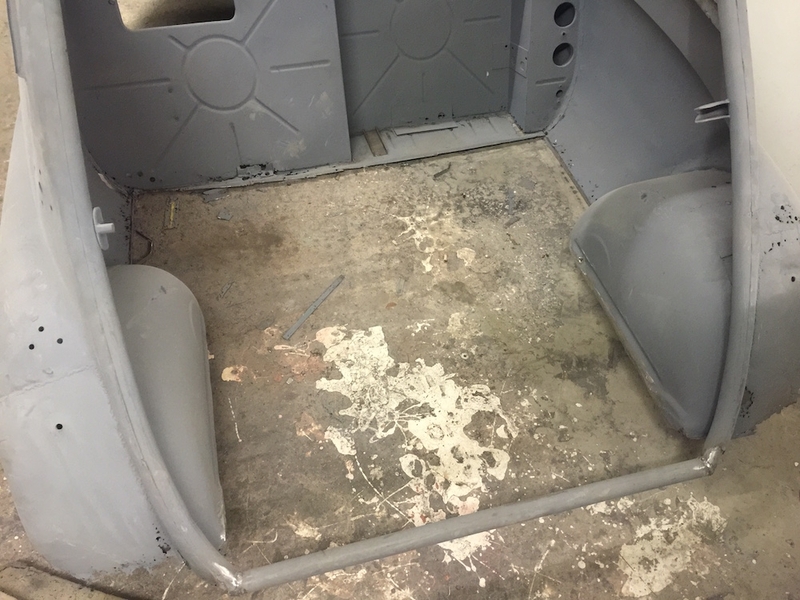 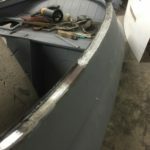 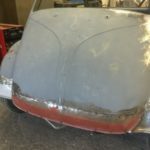 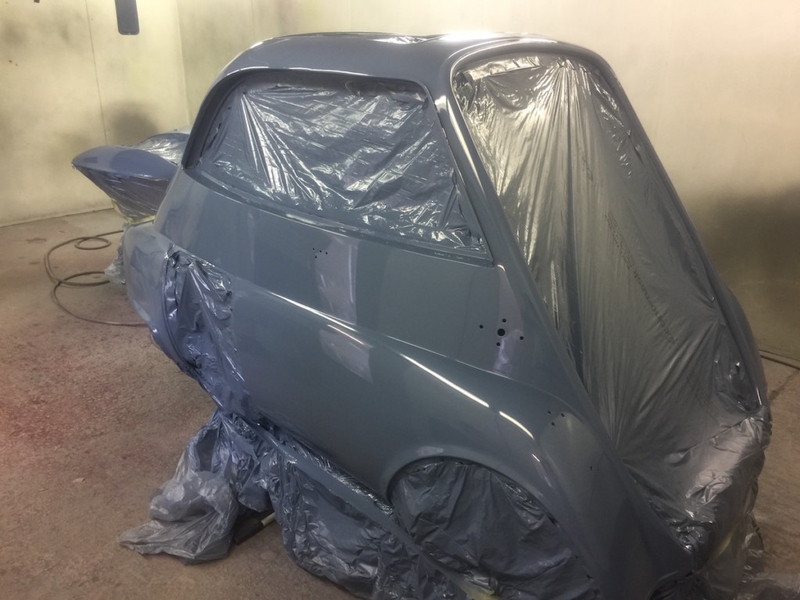 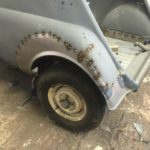 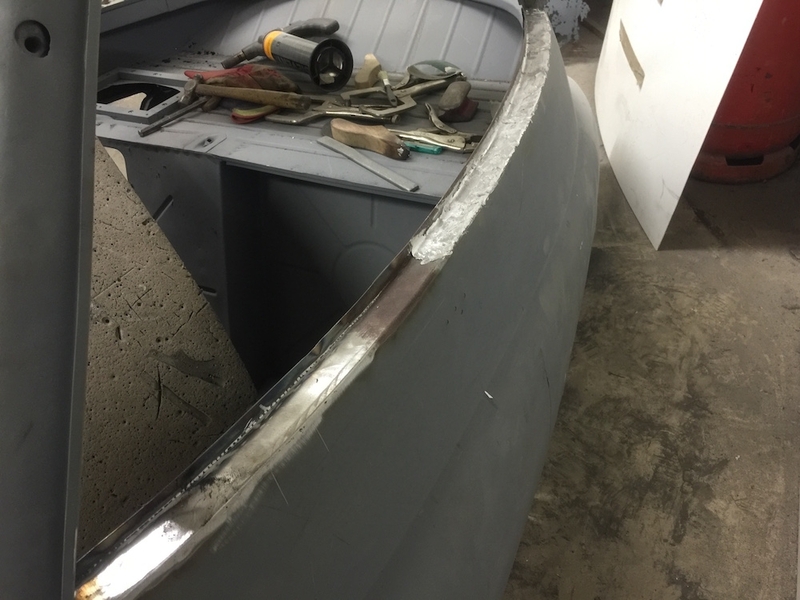 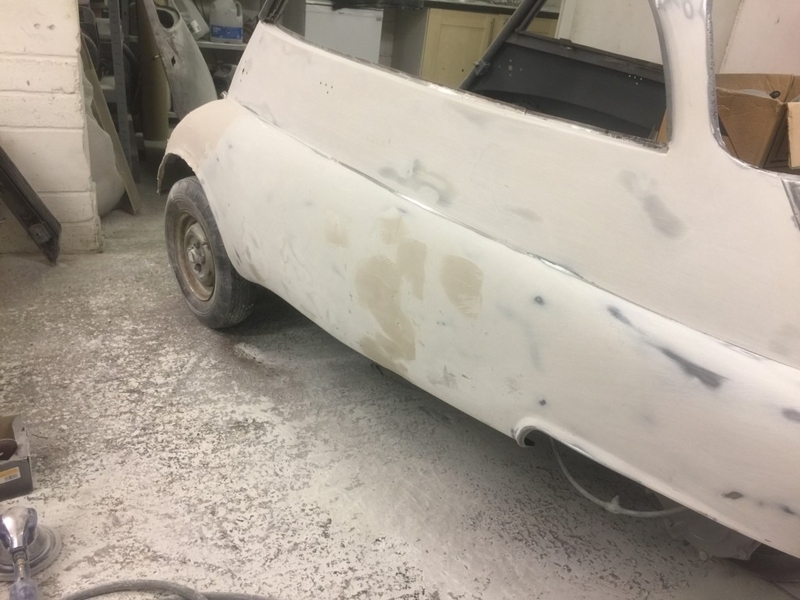 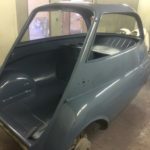 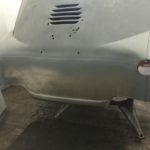 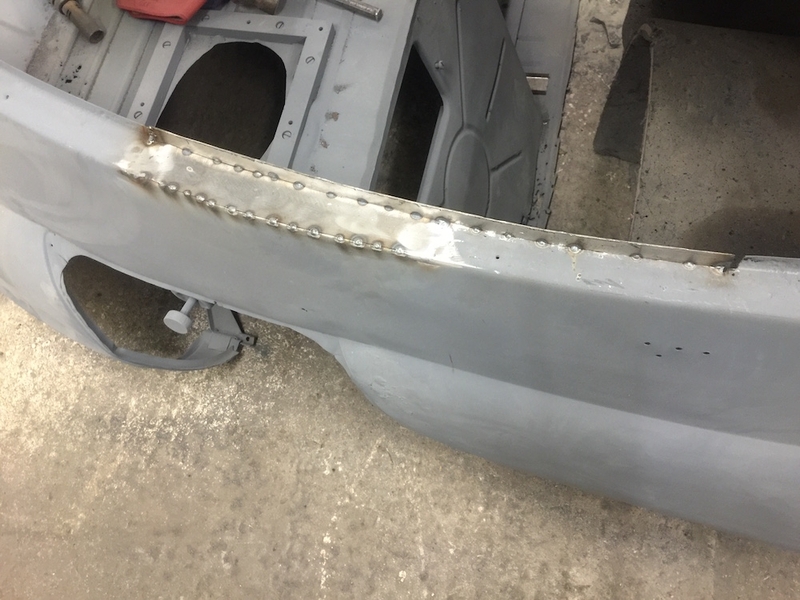 With a lot to do on the Isetta, it wasn’t long before our team was getting to work with their usual enthusiasm. 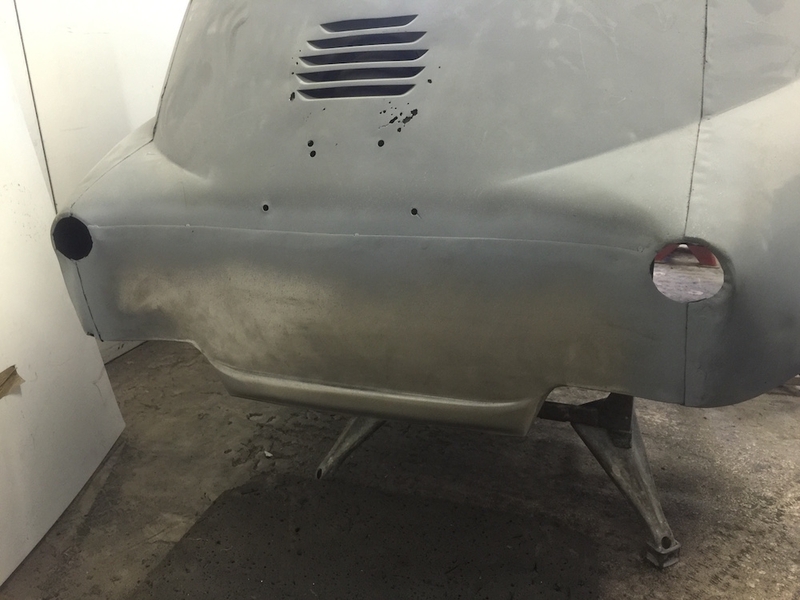 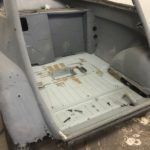 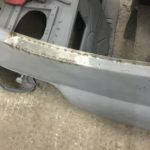 As you might expect there were quite a few repairs needed for the bodywork before it was ready to be resprayed. 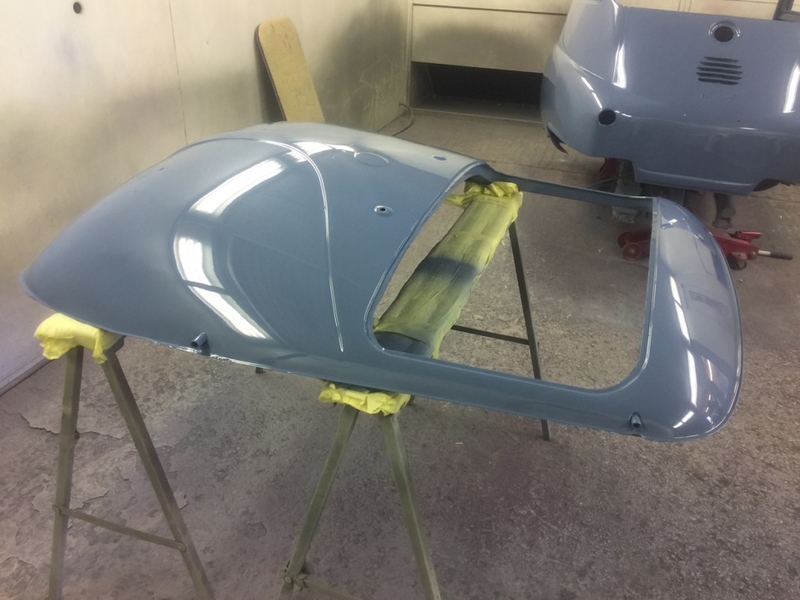 The finished article looked as though it had just run off the production line and the owner was over the moon with the final result. 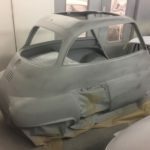 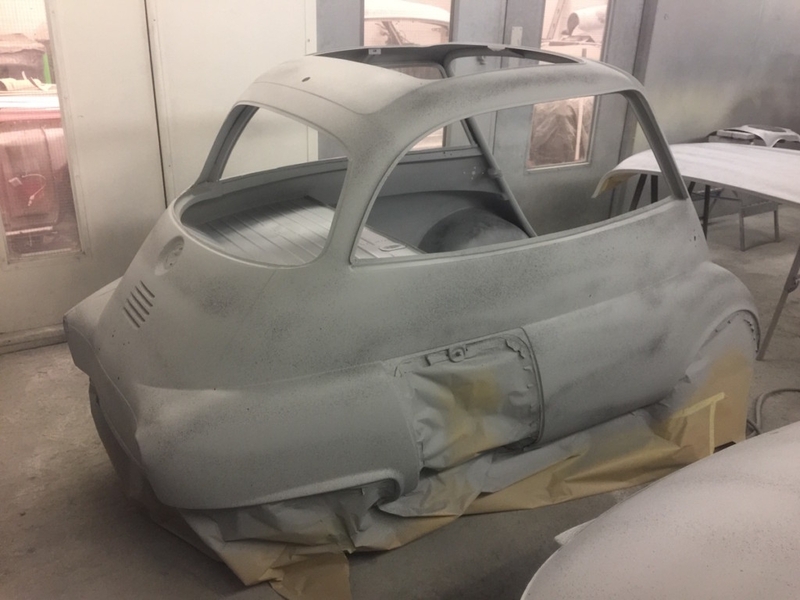 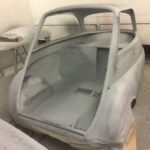 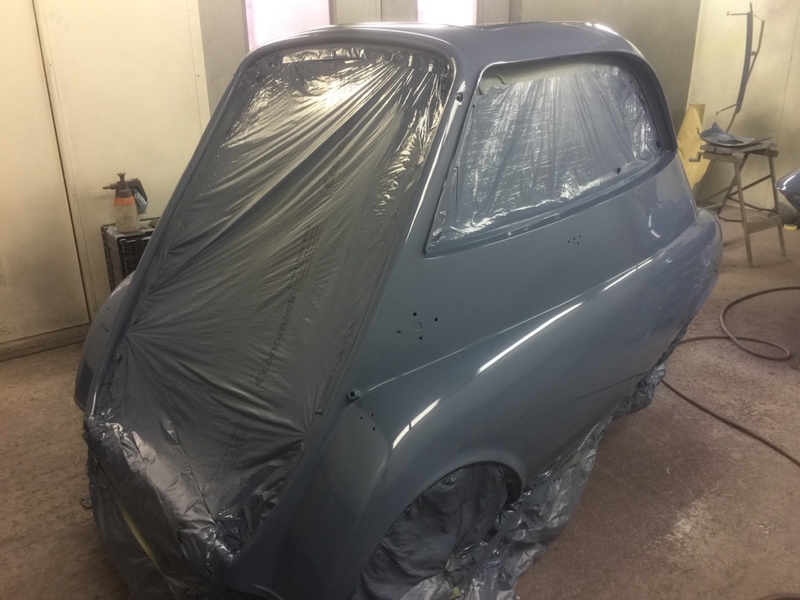 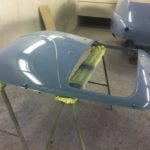 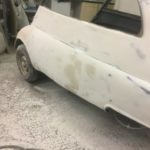 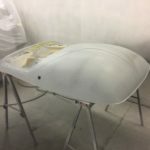 If you see this Isetta Bubble Car whizzing along the roads of Sussex anytime soon, just remember it was White’s Bodyworks that got it back to pristine condition.